We just moved from a 2 bedroom/2 bathroom apartment to a 400 square foot studio on a college campus. Nonetheless, for an aspiring minimalist who wishes to live simply, without the burden of stuff (or rent), this is an absolute dream come true. That’s not to say it’s not without its challenges. 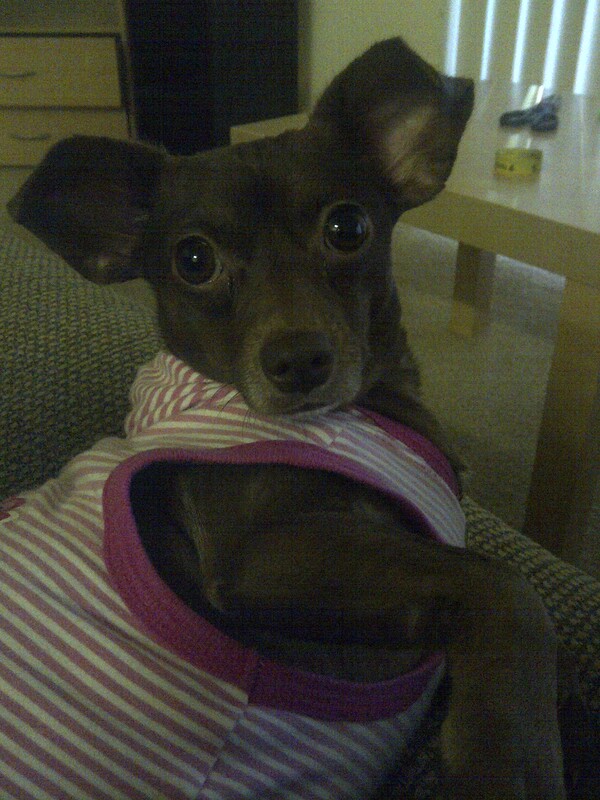 My adorable little puppy is now on a year (or two-year) long vacation in North Carolina. Chalk it up to my recent fascination with tiny houses, but I was so excited for this experience. However, at some point during the packing process, I realized that I (and my husband especially) had too much stuff for that tiny space. Even if we sold all of our furniture, I had visions of the new space overflowing with crap. I didn’t realize this at the time, but part of the reason we have so much extra stuff is because we both are working on side gigs. This aside, days before the actual move, my mind set into panic mode. This is not the minimalist life I envisioned. I thought, “He’s not getting rid of enough stuff.” Still, I stayed fairly silent as my mother-in-law packed the rest of his stuff. I’m thankful that she was there to help, because I probably wouldn’t be able to handle packing items that hadn’t seen the light of day in the last two years. That afternoon, after the 14ft Uhaul was loaded and unloaded, I stared at a room that looked like the most recent episode of Hoarders. Boxes, bags, suitcases and stuff were stacked atop dorm furniture, six and a half feet up the wall. There was a narrow walkway leading to the bed and the kitchen area. I was drowning in my worst nightmare. Flash forward a week later, and I was calling myself the “box murderer.” I emptied and struck boxes dead, one at a time. And after putting away what could be up away, I pondered how I was going to get my husband to get rid of the stuff he doesn’t use. I already separated the things I was going to sell or donate, even items I would use in this tiny space if there was enough room. It must have been the day I started unpacking the kitchen when I had my epiphany. We have a full kitchen worth of cooking supplies that we use!! And this awesome new deep fryer and Kitchen Aid on the way. (Okay, we probably have too many appliances, but we like them, and we use them.) So I just had to make do. I had to make it work. I spent a good portion of the day organizing and reorganizing that tiny space until I got most of our dishes and appliances to fit behind six cabinet doors and four drawers. At this point, none of our dry goods or spices had been put away. I kept telling myself: “I just have to make do with what I have.” I felt to proud of being able to even find a place for some of those items too. Originally I had only seen two options in this situation: suffer in the clutter, or force my husband, packrat, grad student, and Grad Assistant (coach) to declutter. After having no choice in dealing with the itty bitty kitchen, my brain was primed for finding a creative solution to my problem. A third option appeared before me: Find a way to make it work. Find a place for his stuff, organize it. Make it work. So my advice to someone living with a packrat, is to just accept the situation for what it is. If you love them, and want them in your life, you have to start with acceptance. Once you get into the “making it work” state of mind, things change. That’s what the slow-paced lifestyle is all about. Happy Herbivore had an idea that worked for me as well. The idea is that you have a clutter free areas. And the other person has their “do whatever” space. I can keep my workstation and wardrobe area however and he keeps his his way. If you have a bigger house, you may be able to have a whole minimalist room to yourself. What I’m going to end up doing is using an ikea kallax shelf (old expedit) with the 16 square-shaped shelves, and storage bins and baskets to get everything in order. I can store the remaining kitchen items, electronics, books, and my husband’s fifty-thousand shoes (ok I’m exaggerating, but I never counted), and other miscellaneous homeless items on that organizer. In the place of acceptance, I was able to find a vision that would make it all work. For me, as long as everything has a proper place, and can be put away, I’m comfortable. No, it’s not an ultra-modern tiny house, and it’s not ultra-minimalist, but it works for me. I’ve always been intrigued by fashion, and how some people manage to look so put together, all the time. I don’t want to say that I was ever too poor to have a cute outfit, but as an adult, I feel like I’m just figuring out how to dress myself. The more I’m inundated with impeccably dressed people, in their pencil skirts and tight blouses, outfits coordinated with matching shoes and handbag, I feel insecure. I feel sloppy, messy and uncoordinated. It’s not that I have bad taste…or maybe I do. I went through this phase where I liked ugly stuff just because it was different. I adopted this ugly-as-cute attitude. And now, I just can’t look put together. Coming up through college I had people tell me I need to dress a certain way. I bought the different colored New Balances because some guy said I should. When I arrived at college I had these giant hoops that I was content to wear every day until he told me I should wear different ones. Thus I succumbed to peer pressure because I wanted to be liked and look more glamorous. I wasted my money on these cheap but costume-y earrings from the vendor who frequented our campus. My style then became an amalgamation of what other people thought I should look like. Walking around this ritzy private college, with their 40 thousand dollar palm trees (it was a running joke that they spent as much on those trees as we did on tuition, room and board) I admired the style of the trendsetters on campus. Miami, and the university by proxy had indoctrinated me, further, with the importance of fashion, and looking amazing, put together and fabulous all the time. I thought wearing designer clothing was the only way to appear fashionable even though I never believed that a label on a piece of clothing made it worth it the hundreds of dollars required to wear the exclusive brand. I was just unfashionable. Every time I see a “news article” commenting on how Michelle Obama or Kate Middleton have repeated an outfit, I want to slap the writer who conceived of the article and punch the editor who let it go to press. Seriously, what is wrong with wearing clothes more than once? I guess these articles are congratulatory in nature, making “celebrities” seem just like us. Yet, it inadvertently suggests that being seen in the same dress more than once is odd, or unusual. Why do we buy clothes? To wear only once? That notion has pervaded my shopping decisions on an unconscious level ever since I was old enough to spend my own money. For the longest, I have bought clothes, shoes, or purses because they were cute. Even if it matched only one other article of clothing that I owned, it wouldn’t stop me. I had to have it. There was no consideration for repeated wear. This attitude speaks volumes for the shallowness of our society. Yet for a long time, I was obsessed with this idea. I still don’t want to re-wear an unusual shirt or skirt that I just wore the week before. I need people to forget the outfit the complimented me on. Thus, I bought clothing that simply wasn’t practical for my style. I had green and white striped wedges, and uncomfortably high, strappy sandal stilettos. My entire wardrobe was formed with an eclectic collection of “cute” shirts, pants, dresses and shoes. The object was to have as many articles of clothing as possible. There weren’t any outfits in there. I never saw the big picture. By now, you probably think I’m a fashion hater, that I’m bitter. I promise, I’m not. I like fashion. I love to look good. I’ve just figured out that the way I go about fashion: overly-consume-until-I-have-enough-options-to-make-me-look-amazing, simply isn’t working. I hate having all these clothes, but nothing to wear. The concept is absurd really. So in my latest spring cleaning efforts, I’ve drummed up all of my minimalist resources for inspiration and encouragement. (see the bottom of the page for more info) I repeatedly refer to the book The Joy of Less by Francine Jay (Click Here for her blog). Last weekend I spent some time on the chapter on wardrobe. Getting rid of the cheap and worn out clothes was relatively easy. Getting rid of stuff that doesn’t fit was harder, but I managed to toss some of it in the donation bag. Then, there were a whole bunch of clothes that I was planning on keeping, but because of Miss Jay, I actually tried them on and realized I didn’t like them as much as I thought I did. More for the donation bag! Another issue that The Joy of Less required that I address, is What is my style and color palate? Well, my style is comfortable and cute. I love a bohemian style– you know, long skirts and maxi dresses. And I love to be comfortable; I could live in a t-shirt or a long flowing shirt and jeans. And as for my color palate, I like bright colors, and black. The problem with my “style” is mostly when it comes to what I wear to work. American “professional” style operates in complete opposition to what I like to wear. 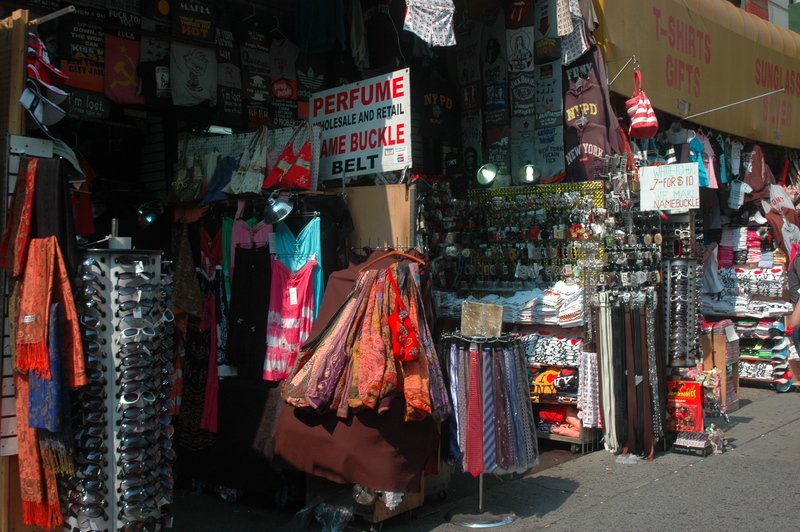 Slacks, button-down shirts, cardigans, blouses, blazers, suits, etc. are so uncomfortable. I’ve bought these things because I have to try to look professional in the workplace, yet these things just don’t look chic on me. Typically, it’s in the workplace where I wear a hodge-podge of clothes because I’m trying look professional, cute, and keep warm in the giant refrigerator classrooms. But then I got to thinking. Maybe I could assimilate my style into my work wardrobe. If I flesh out my BASICS for work–get some nice sweaters that I can wear with my long skirts and other clothes, maybe I can make it work. Because honestly right now, I really don’t have very many high quality, work/teacher-appropriate and warm work clothes. So far, I’ve pared-down my wardrobe to the clothes I wear. Jeans that fit, t-shirts I love and still fit. Dresses and skirts that I like to wear. I’ve kept one suit, even though I didn’t want to, because you never know, and I’m not buying another suit. It is okay to repeat outfits, most people are too self-absorbed & self-conscious to notice. So lent started last week, and the only thing I gave up was giving unsolicited advice. An awesome pursuit, as I can become a better listener and mind my own business. Except, my boyfriend said, “why don’t you give up something hard?” I hadn’t really thought about it much until I went to Amazon.com yesterday to look for a canvas tote bag. And that’s when it hit me. I’m going to give up online shopping. I think I have a borderline addiction. It started a few years ago when I didn’t have a car and I needed to furnish my apartment. Or if I needed to buy something really large and heavy and didn’t have anyone to help me pick it up and carry it to my apartment. UPS is good at transporting and delivering items for me. Amazon Prime is amazing. I have free two day shipping, but it’s become more of problem than something that helps me. Because as I look around my apartment, I see that almost everything I own was purchased online. Nowadays, I buy things online for one of these two reasons: #1) I don’t feel like dealing with the world (which means Miami traffic/people/a gazillion stores); or #2) Amazon has a better selection and it’s cheaper. But what I’ve come to realize, is that the quality of the items I purchase cant be inspected through a computer screen. Furthermore, I’m less likely to purchase something or spend money on something if I go to the store and look at it– more than often than not, I don’t like the item. I’ll learn patience: waiting until items go on sale, waiting in line, waiting to find the perfect item. I’ll spend less, because I know sure as heck I’m not going to feel like going out to the store. And I’ll think twice about buying things IF the only way I can get them is by going out. I’ll be more aware of what I’m spending: for some reason when I buy online it hardly feels like I’m spending money. Money disappears faster than I realize. I won’t buy crap I’m not going to use. Any spring cleaning I do won’t be wasted- I won’t be filling my house with anymore crap from Amazon. I think I figured out what prevents most people from becoming a minimalist. I know I spend a lot of time blaming advertisers and our personal greed, but that’s nto the only the problem. See, here in America, we have this NOW mentality. I need to lose weight NOW. I want to get out of traffic NOW. I need the iPhone 5 NOW. (Remember, we were talking about the iPhone 5 for a year before they even introduced it.) I can’t wait for Modern Warfare 3 to come out; I want to play it NOW. We live in a world of midnight releases, sneak previews, and early-bird specials. The problem with slowing down our lifestyles is our inability to wait. Instant gratification seems to be the cornerstone of our society. If you want to have less stuff, and be less stressed, consider being patient. You see a cute pair of shoes at the mall… instead of buying them right away. Wait. Go home, pay some bills. Feed your dog; go for a walk. Look at all the other shoes you have and don’t wear. I bet you’ll think twice about getting them if you have to go back to the mall. The point is this, we need to get out of this “I need it NOW” mentality. Yes, advertisers feed off of this. But once you realize what they are doing to your brain, you will be able to recognize it. Think about it: Why do advertisers prey on the NOW mentality? Because that is where they have you at your weakest: your impatience and your dissatisfaction with what you already have. If you were patient and satisfied with what you do have, then they’d have to sell you on quality, wouldn’t they? Instead of saying how wonderful and high quality their product is, they tell you they are running out, or the sale only lasts a few days. “Hurry, or you’ll miss it.” I remember Toys-R-Us was running two-day-sale commercials for two months! It’s not really a two day sale if it lasts for more than two days, is it? They fed into your now mentality. Macy’s has a one day sale like every week. The “Buy it NOW” thing is going on all the time. You are in a crazed frenzy trying to get something NOW, but the NOW is always here. it will always be here. You can’t be anywhere other than now, so why worry about things that aren’t here NOW, and deal with what is. There will always be a sale or a discount or something you want NOW. The NOW mentality is very much tied into mortality. “You don’t have forever you know, so do X, Y, and Z, NOW or you will miss out.” Our way of life forces us to be concerned about being in another situation, not enjoying the one we are currently in. If we were enjoying the NOW, we wouldn’t be worrying about what ISN’T here NOW. And then, we wouldn’t be worried so much about mortality, would we. We’d be enjoying every moment and making the most of our NOW, and the end wouldn’t be so bad. This of course doesn’t include the standard kitchen fare of the microwave, refrigerator, oven, and dishwasher. Do you see how redundant that list is? Why would I need all of these things? (This also doesn’t include my group other types of appliances appliances). There literally is an appliance or gadget for anything you want to cook. Go to a department store and you will see what I mean. Typically, these appliances aren’t easy to clean, they take up a ton of counter space, and they make a bunch of noise. As convenient as these appliances are supposed to make your life, I’m starting to think many of them aren’t even worth the trouble. I usually get the appliances because I don’t want to have to do so many dishes, but the dishes I have to do with the appliance are worse than just using the stove or oven instead. My blender can do anything my magic bullet knock off can do and my toaster oven can toast anything my toaster can… and my regular oven can take care of the uses of both. Yes, some appliances are very useful and unique. However, I’m not really sure they are all worth it. Get rid of some of this stuff, you will have much more room on your counter tops to do actual cooking. For me, the toaster oven was the hardest to give up… but the counter space it cleared was more than worth it. I started writing this post in my head at least a hundred times: my comeback post. I’ve neglected this blog since my double move: once to a temporary location, and 3 weeks later to semi-permanent location. While I’ve neglected my blog, I haven’t neglected my decluttering efforts. My new apartment is smaller than the old, and I had to clear out some things to make room for the what I actually needed. Nonetheless, I have items spilling out of closets and drawers. It is self-evident that my de-cluttering efforts have not reached their full potential. It’s become clear to me that I need to get reorganized. I’m starting to feel overwhelmed. What better way than to do it than publicly on a blog? But instead of milking my comeback post into 5 comeback posts, I’ve decided to squeeze them all into one post. This way, I can quickly update you on what is going on in my life. 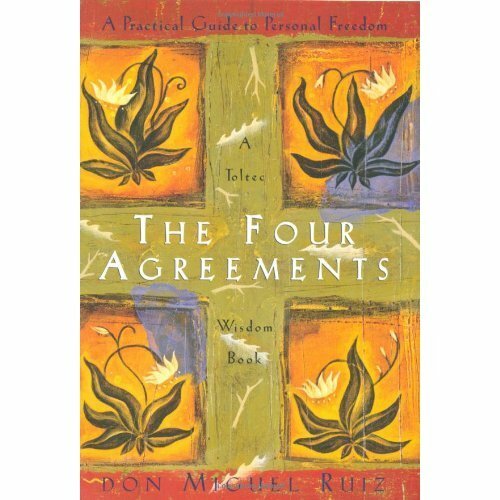 The Four Agreements: This is an excellent book, by Don Miguel Ruiz, for dealing with some of the stress in life. There were two agreements that I found the most applicable to my life. The first was,”Don’t take anything personally.” Aside from its obvious meaning, Ruiz explains that what people say and do has nothing to do with you. I followed that agreement almost perfectly for one week. My life was utter bliss. I didn’t care about people cutting me off in traffic. The words and actions of others were rendered insignificant. This is great for sensitive people, like me. The second was, “Don’t make any assumptions.” I think it pretty much speaks for itself in terms of meaning. The reality is that we have no clue about what is going on in other people’s heads. You may think you know, but you don’t. Once you stop assuming, and start asking questions, everything becomes much clearer. Ultimately, this is a great book. Buy it. I will be reading it again soon. Oh! This book goes really well with Ruiz’s book The Mastery of Love. The Joy of Less: A Minimalist Guide to Living: This is a wonderful decluttering book by Francine Jay. No, I haven’t decluttered yet, but I have read the book. This book changes your relationship with stuff and forces you to think about the items you actually need. The book also makes you consider the life cycle of stuff (old cell phones, for instance). You bought it, now you must dispose of it properly. I think of it as a sort of punishment for being irresponsible with my spending habits. I did a huge amount of decluttering before I went to Atlanta in October. Yet, I still have too much crap. I was pretty satisfied with what I had accomplished before my trip. When I came back, however, I still felt like there was way too much stuff hanging over my head. A month later, my apartment is a mess and there is still stuff everywhere. I feel like I’m pretty close to where I was before started on this “Joy of Less” journey. Still this is a great book. I didn’t follow the author’s instructions to a tee. If I had, I’d probably be in a lot better shape. The book was so good, I will be trying to decultter Francine Jay’s way and not the cheating way. My biggest takeaway from “The Joy of Less” is that having open space (not a ton of clutter) gives you space to live your life and do the things you want to do. Think about that. Writing: I’ve gotten overly ambitious again. I’m restarting my freelance writing/editing/proofreading/social media consulting business again. I’ve designed a logo and everything. I’m also participating in NaNoWriMo. More than likely I’m not going to finish my novel in a month because I haven’t been writing. That’s okay though. I’ve at least started my super controversial novel. Also, I’m back to blogging. Thesis/Grad School:I need to spend another semester on thesis: boo 😦 But I’ll be able to get my story closer to how I want it to be. Unfortunately, this means I’ll need full-time income to support myself. Grad School is expensive. Business: Recently, I’ve been inspired with another business idea. I spent all day Saturday perusing the internet for manufacturers and the like. Sorry, I’m not going to tell you what it is until it launches. I’m a bit superstitious. Health: I’m participating in a weight-loss challenge with 9 other family members, which is kinda cool. It’s a Biggest Loser-type challenge. Except, I’m not sure I’m losing weight; the plan is to step it up this week before weigh-in on November 16th. So that is pretty much everything that is going on in my life right now. I have many new goals that I’m trying to implement all at once. I’m making a comeback! (and you can too). Inspired by Anti-Procrastination Tuesday by Amy on New Nostalgia, I’m starting a new segment of my blog that briefly details what I did each day (or week) that brought me closer to my goals. It will be sort of like a gratitude journal, something I can look back on when I need motivation, and hopefully something that will inspire you to take baby steps daily to reaching your goal. Faced with being buried in an avalanche of beauty products, I had to make a decision. I needed a way to simplify my beauty routine. However, if you Google “simplify your beauty routine” you will find a bunch of useless tips that leave you with just as many products as before. The only fool proof method is to get rid of pretty much everything and go rogue. Unfortunately, we live in a society where image is everything, and if your hair is frizzy, and you smell because you don’t wear deodorant, you may have a bit of a problem. I don’t plan on going rogue; I do, however, plan on going natural. Not wearing makeup. Maybe there will be an occasion where I don a little eye liner, mascara and lip gloss, but that’s going to be it. Cover up, blush, eye shadow and the like are getting trashed. I found a great article on Loving Your Face Without Makeup. Picking one or 2 ways to remove hair. As ladies we must pretend that we don’t grow hair anywhere but on are heads and eyebrows. The fact of the matter this isn’t true. We are all hairy ladies. And I use nearly every method available for removing hair: I have a razor, an electric trimmer, an epilator, a depilatory (Nair), wax strips and tweezers. This is completely unnecessary. I’m not going to stop shaving my legs or pits, but I am going to pick a limited amount of ways to do it. Maybe you’ve always wanted to stop shaving your legs. If so, here is a good place to find inspiration. 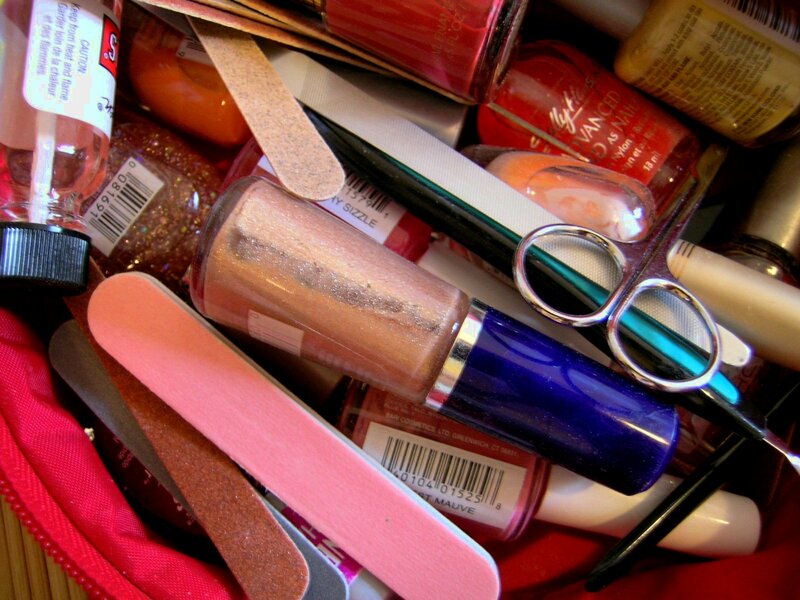 The reality is, there are so many places where you can cut back and reduce your usage of beauty products. That might mean you’ll stop trying to hide signs of aging, stop painting your nails, or stop fighting your natural hair texture. I’m not going to detail them all here because Minimalist Beauty created a whole website on how she reduced her beauty product usage. (It’s a great resource, you should check it out.) You have to decide which avenues are right for you. What I’m going to be doing while I prepare to move is trashing pretty much everything and finding alternative care products. I’d like to take a more natural and holistic approach to my personal care, and I believe I’ll be using far fewer products than I do now. Just remember, you are beautiful the way you are, and you don’t need any product that tries to convince you aren’t beautiful without it. I spent most of Memorial Day weekend cleaning up and cleaning out. I have accumulated way to much stuff, and I don’t want to have to take it all with me when I move in August. I aim to attack the items that clutter the surfaces of my furniture and items that lurk unused in the recesses of my closet. There are three categories of junk: Stuff that’s easy to toss because I don’t like, want, or care about it; stuff that is moderately difficult to toss because I feel guilty for some reason or another to give it away; and lastly, stuff that is usually broken, worn out, or no longer useful, but I keep it because it has meaning to me. A purple, brown, and white woven Mexican blanket belongs in that last category for me. I’ve had the blanket for at least 10 years. The reason why I loved it so much was not just because it was my rally blanket. I loved it because it kept me warm at night at rally when my sleeping bag wasn’t warm enough. It provided me comfort during vacations and a sense of familiarity when I went to college. The blanket could keep me warm, no matter where I was. I feel ridiculous, because I’m 25 and I’m hung up on my blankey (security blanket). It was the best damn blanket I’ve ever owned and now it’s ruined. About a month ago, my dog was chewing on her toy while laying on the blanket and she chewed a hole right through. Thinking it was unrepairable, I folded it, and put it away in the linen closet. Immediately after, without a thought or hesitation, I bought a different color (red) replacement and have been using that one instead. This past weekend I’d been attempting to repair items I’ve deemed unuseable until they are fixed. I thought maybe, I could patch the blanket. I crocheted a black square and attempted to sew it on. It looked horrible. My next option would be to buy appropriate material and sew it on. This was a very viable option except I realized doing so would defeat my whole purpose. I would be spending more money, and in the end I would have two blankets. That’s when I knew it was time to let go. Whether it is going in the trash, donation, or for sale box, I don’t know. Maybe I’ll fix it and donate it. Maybe I’ll fix it and donate the new one. But I can’t keep both, and I won’t spend more money. Maybe I can use cloth from one of the T-shirts I’m giving away. There is quite a lot of possibility in that 🙂 If my initial response wasn’t to go out and buy something new, I could have possibly repaired the old blanket, and I wouldn’t be in this predicament. I read a great article about Letting Go of Sentimental Items. It got me thinking about the blanket because of the memories that it represents. l always have the memory whether I have the item or not: I’ve written about the memory right here in this blog post. The key to cleaning is to not buy more stuff, contrary to what the container store would have you believe. Over-organizing simply leads to more clutter. The key to keeping your space clutter free is to get rid of the old and not buying unnecessary things to replace them. You have to ask yourself, do I need a new one? You probably want a new one, but do you need one? You have to change the way you think about things. Defeating the debt monster requires a change in thought and a change in action. It requires slowing down. It requires abandoning the materialistic mindset. Because in the end, you may end up with more than you bargained for.